About 215 vehicles have passenger airbags that may fail to deploy correctly in a crash. 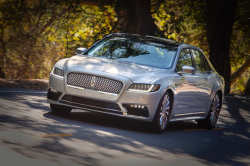 November 5, 2018 — Ford is recalling more than 200 model year 2010 Ford Fusion and 2010-2012 Lincoln MKZ vehicles to fix problems that may cause the passenger airbags to fail. The automaker says a bracket that holds the airbag inflator to the airbag module housing can deform and allow gas to leak during a crash. The passenger airbag may inflate but only partially, likely not enough to protect a passenger in a crash. 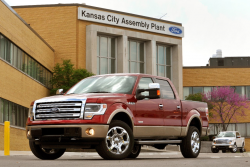 According to Ford, the company isn't aware of any crashes or injuries related to the airbag issues. The 2010 Ford Fusions were built between February 26, 2010, and June 21, 2010, and the 2010-2012 Lincoln MKZs were manufactured from March 10, 2009, through July 16, 2012. 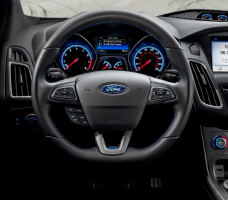 Ford dealers will replace the passenger airbag modules, but Ford didn't say when the recall will begin. Customers with questions should call 866-436-7332 and refer to recall number 18S34. 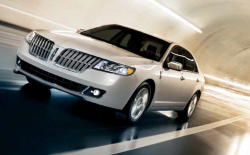 CarComplaints.com has complaints about the Ford Fusion and Lincoln MKZ.